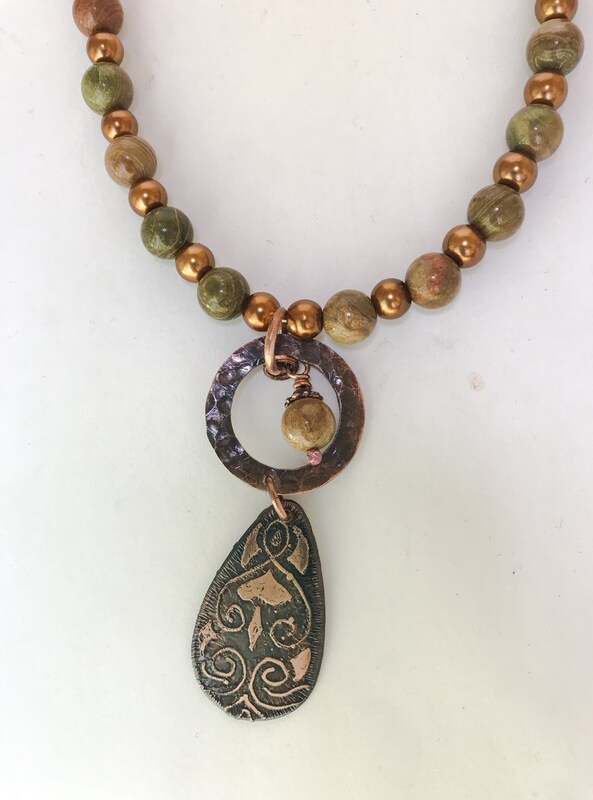 This is beaded Jasper with shades of rust and green and copper glass pearls and a hand cut copper teardrop that has been etched with a hand drawn design. 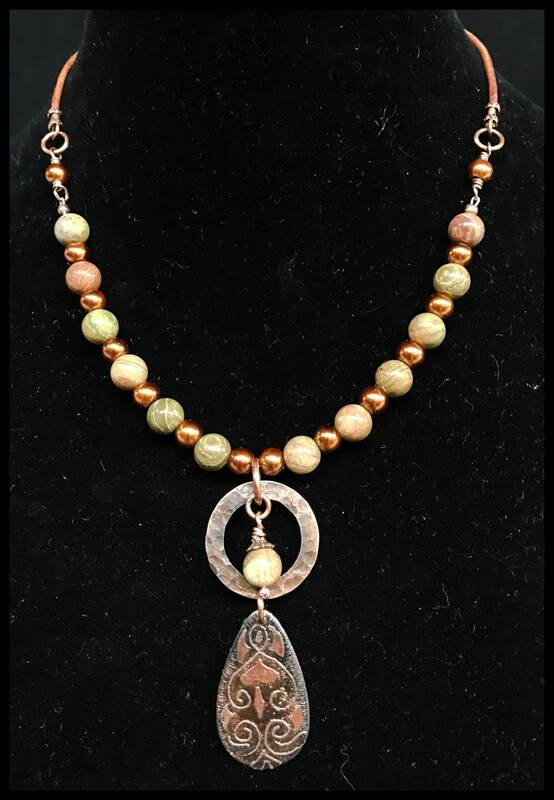 I have used a natural tan 2 mm leather cord. The overall length is 17 inches. 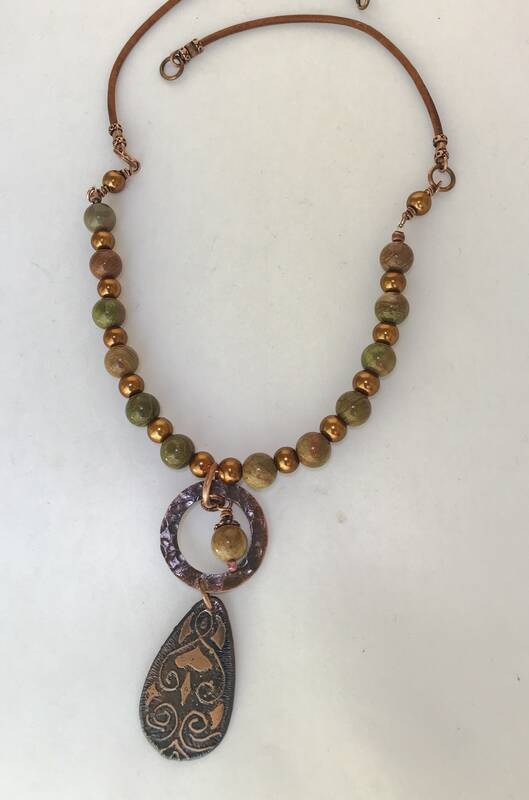 The pendant drop measures 2 1/2 inches.